Our PhD student Richard White is leading a number of interactive walks within the Bath Fringe Festival programme. These are part of the Sweet Waters project. A walk through the City centre stopping outside the addresses from which slave-owners claimed compensation for releasing the people they owned. The walk ends at Beckfords Tower. 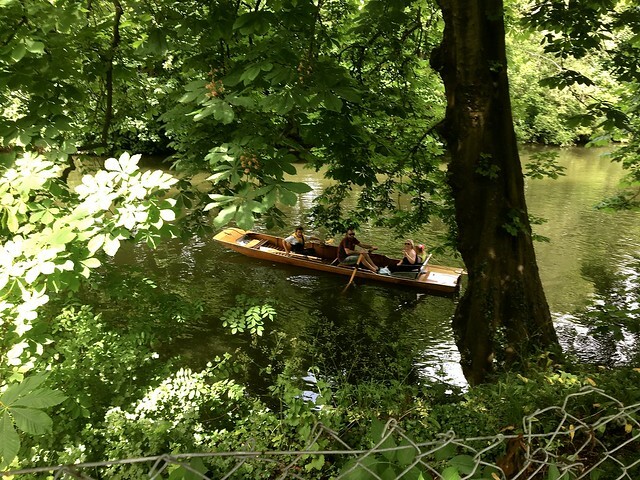 Sweet Waters: short and longer creative performative walks along the River Avon between Bath and Bristol sensing the legacies of slave-ownership. Wayfaring in obscured histories, reflecting on flow, cycle and memory; alert for sounds, voices, tears, sweat and blood suspended in the water. This exhibition brings together eleven Artists whose work considers how humans and other species relate to water, often from an ecological and geopolitical perspective. All the work is presented digitally, with one-off performances stirring up the programme. This talk examines a pivotal effort to reintroduce the European beaver in Europe. The earliest successful beaver reintroduction project in Europe was bringing back the beaver to Sweden in 1922. Beavers had been extinct in the country for about 50 years when a group of people interested in both natural and cultural heritage conservation worked to bring them back. In those efforts to bring back the beaver, stories were told: stories from old men from the Jämtland region who recounted stories of the great beaver trappers and the slaying of the last beavers; stories of grandmothers whose grandmothers used medicine made from beavers; stories of how the beaver once lived and died on the land. The memories of the beaver, while the stuff of legend, were integral to the decision to reintroduce it. Dolly Jørgensen is an environmental historian with broad research interests, ranging from medieval to modern history. Her research areas have included medieval forestry and agriculture, late medieval urban sanitation, offshore oil policy, animal reintroduction, and environmentalism in science fiction. Her current research project deals with animal reintroduction, rewilding, and deextinction, which can be previewed on her project blog “The Return of Native Nordic Fauna” . She has co-edited two volumes: New Natures: Joining Environmental History with Science and Technology Studies (2013) and Northscapes: History, Technology & the Making of Northern Environments (2013). She was a practicing environmental engineer before earning a PhD in history from the University of Virginia in 2008. She is currently Associate Professor of History at Luleå University of Technology, Sweden, and from August 2017 will be Professor of History at University of Stavanger. This is very much worth a listen – not least to hear the great Wendell Berry!! His challenge to the false call of progress and the American Dream is echoed in the writing of Paul Kingsnorth, whose book Confessions of a Recovering Environmentalist eschews the grand narrative of a global green movement to focus on what matters – the small plot of land beneath his feet. Kate Raworth calls herself a renegade economist and, like Berry and Kingsnorth, challenges orthodox thinking, as she points to new ways to understand the global economy which take into consideration human prosperity and ecological sustainability. Please find information below on an upcoming EEHN workshop funded by IASH. This is a small participatory workshop, where we’ll have collaborative sessions as well as a selection of short talks from attendees. Places are very limited, so do book early. Deep time is, perhaps, an awkward concept to apply to water. Water does not produce a layered and linear time as some elements of geology such as soil and rocks do. Indeed it has problematically been thought to lie ‘outside history’ (Rozwadowski). However as Astrida Neimanis argues “water asks us to think earthly archives…differently” (2014). Indeed water can offer more complicated ways of thinking through time. Waters can hold de-oxygenated zones, so-called dead zones, where time stands still, while other zones hold very lively ecologies. There are deep-time cycles in the ocean waters such as the thermohaline circulation that moves in 1000 years cycles and tells of long-term cause and effect. This workshop will ask what a focus on waters can contribute to critical time studies and issues of multispecies intergenerational justice and care. How do we encounter time through deep waters? How do narratives, practices and things related to water help us to understand human and more-than-human relations over time, particularly in these catastrophic times (Stengers)? Join literary scholars, historians, philosophers, archaeologists, marine scientists, theologians and more to explore how a multi-disciplinary approach might offer new ways to understand deep pasts and deep futures. Latest publication: Participatory Research in More-than-human Worlds (2017, Routledge). EarthArt #2 – Geological Memory with Milo Newman (who is doing our MA in Env Hums! Professor Jon Blundy FRS, University of Bristol, invites you to the second of a series of biannual events to celebrate collaborations between artists and earth scientists. Please join us for two short presentations on the theme of Geological Memory, followed by a reception to showcase the work of Bristol artist, Milo Newman.